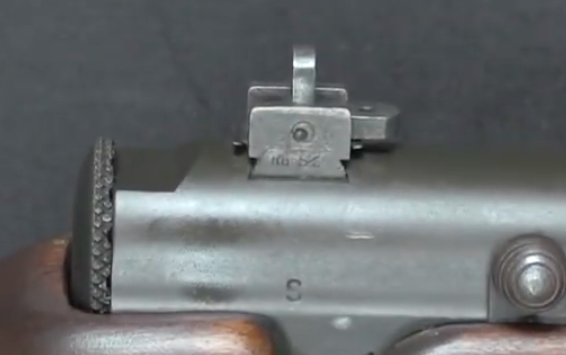 I noticed that Eugene Reising used what appears to be an RG-S'G' Saginaw M1 Carbine Type 1 flip sight on an experimental rifle (serial number X26) that he designed late in his life, based the M14. I thought some here would want to see this. 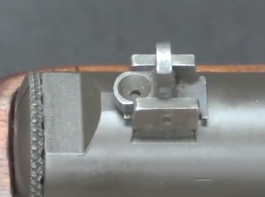 It was probably just used out of convenience, as most of his other designs used Redfield Model 70-AT aperture sights, or fairly simple leaf sight designs. 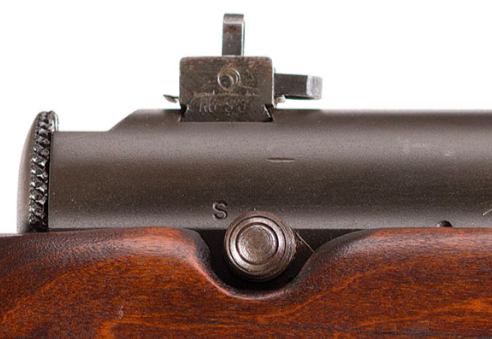 I believe with this experimental rifle that did not see production, he was just trying to see if he could simplify the M14 using a tubular receiver, and many of the characteristics of his H&R Reising Model 50 Submachine Gun, which were also used on his Models 55, 60, 165, 150, 151, MC-58, T30, and M14 Simulator. 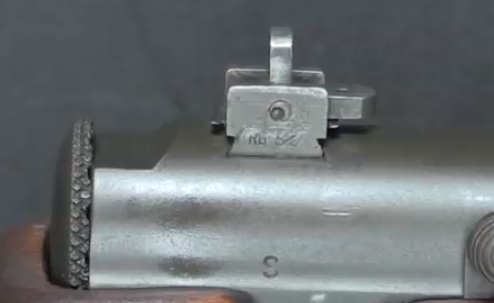 This rifle was sold at auction by Rock Island Auction Company in September 2017 for $28,750, and was also featured on ForgottenWeapons on YouTube. 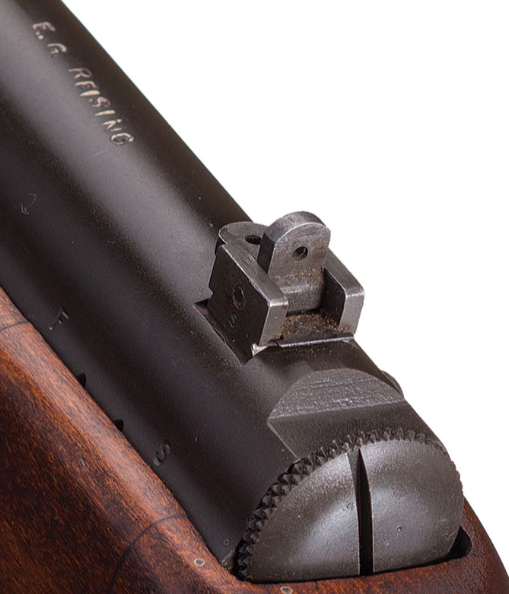 I guess I am pleased that the gun never made it to production and the M14 action mimics the old reliable Garand and carbine. Any idea what time frame he made that firearm?